A young chaga growing on a birch tree in Presque Isle's Mantle Lake Park. Grounds of chaga at Bread of Life Bulk Foods Store in Presque Isle. A cup of chaga tea, brewed from grounds of the mushroom, at Bread of Life Bulk Foods Store in Presque Isle. Rene Guay, one of Maine’s first chaga sellers, discovered the birch tree-based fungus kind of by accident. 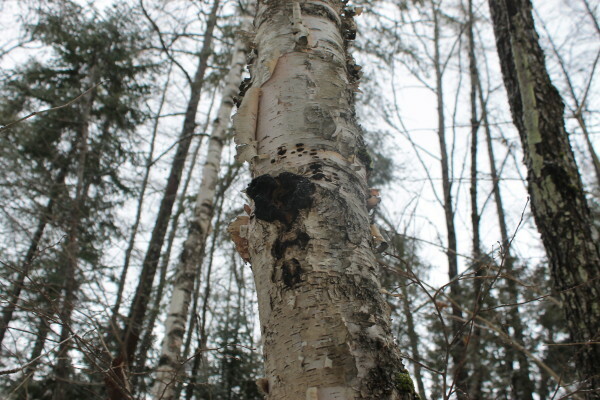 In 2010, a Canadian customer buying birch bark from his western Maine Spirit of the Woods business asked if Guay carried chaga, a hard, charcoal-colored fungus that grows mostly on birch trees as a parasite over the course of more than a decade. “I said, ‘What the heck is chaga?’” Guay recalled. It turns out he came across chaga, whose inside is reddish brown, all the time as a logger based in Dennistown, west of Moosehead Lake, among the hundreds of other fungi he saw in the woods. He didn’t know chaga had been used as a nutrient-rich tea and medicine among Siberians, Micmacs and other northern people around the world or that it was about to go mainstream. Six years later, Guay is a regular drinker of chaga tea, crediting it as an immune system booster, preventing what used to be annual bouts of bronchitis and colds, an anecdote similar to those of other chaga purveyors. While some Maine farmers, foragers and loggers sell chaga at local outdoor markets and stores, Guay has turned it into a relatively big business with his 5-year-old company, Chaga Mountain. The company sells chaga chunks and teas, as well as lip balms, skin salves and concentrated extracts, online and in stores. He wouldn’t reveal his annual sales figures but said he’s in the process of getting a distribution deal to sell at 400 grocery stores in Canada. Chaga (Inonotus obliquus) is pitched as mellow, slightly nutty-tasting good-for-you drink from the forest, though it remains partly in the gray areas of folk medicine and incomplete science. 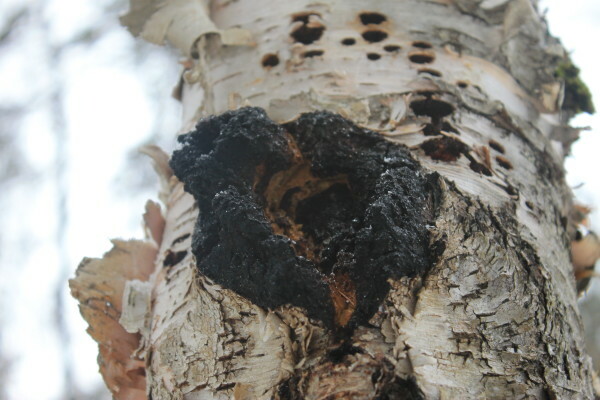 Last February, Chaga Mountain was given a warning by the Food and Drug Administration and ordered to remove information on its website about chaga’s supposed health properties, which the agency said constituted unsupported medical claims. Chaga Mountain’s website now has less information and encourages visitors to do their own research. But Guay said much of the information was from a credible source: the Memorial Sloan Kettering Cancer Center in New York. Researchers with the center have maintained a clearinghouse of the most up-to-date studies of chaga, and they note there are areas of promise. Lab and animal studies have shown that compounds found in chaga, such as betulinic acid, can kill cancer cells, stimulate the immune system and lower blood sugar, according to the researchers. Among other things, chaga is thought to be a significant source of selenium, an essential mineral that helps the body control cancer cells. But, Memorial Sloan Kettering researchers emphasize, “clinical trials are needed to confirm chaga’s safety and effectiveness for these uses.” Their page also warns that chaga is high in oxalates, which can reduce nutrient absorption, contribute to kidney stones and be harmful in high doses, and that it may with interfere with blood thinners and diabetic medications. Those limitations of understanding haven’t stopped David Conner, MD, a primary care physician in Caribou, from recommending moderate amounts of chaga tea, including to patients with diabetes. As an internist who incorporates aspects of traditional Asian medicine and acupuncture, Conner compares drinking chaga to drinking green or black tea, which also are rich in natural compounds, or making a point to consume anti-inflammatory spices such as cinnamon and turmeric. “I’d rather have them drink chaga and take less of their medications,” Conner said of patients with diabetes taking blood sugar-lowering drugs such as metformin. Farmers and foragers sell chaga at farmers markets, local stores and online. 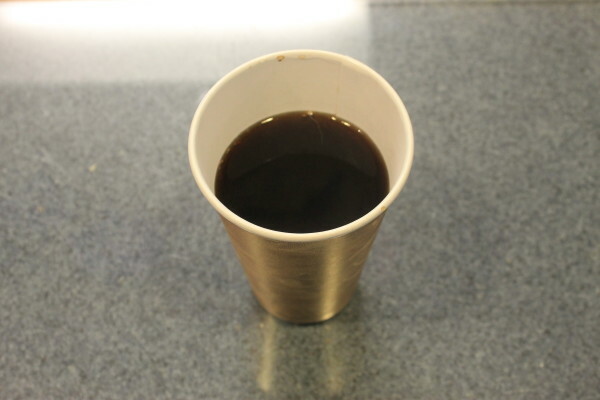 In Presque Isle, the Bread of Life Bulk Food Store recently started selling it both dried and as hot tea in to-go cups as an alternative to coffee. 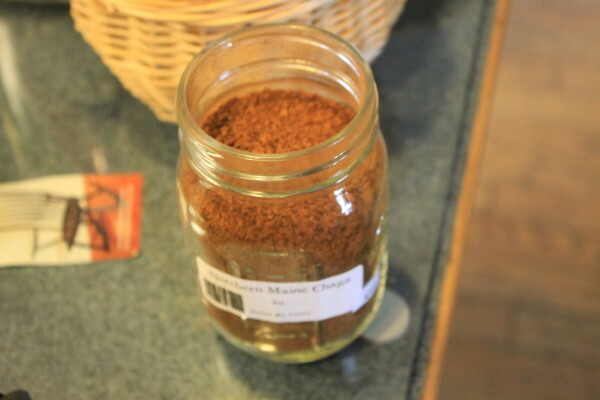 Washburn resident Christie Smart Cochran remembers her family drinking chaga tea when she was growing up in Aroostook County during the 1950s and ’60s, and now she drinks it regularly. She thinks families like hers, from English and French lineages, would have learned about chaga from Micmacs and other Native Americans as their ancestors moved from northern New Brunswick and Maine generations ago. “In ancient times, chaga was probably considered a gold among medicines,” said George Paul, a Micmac cultural interpreter at the Metepenagiag Heritage Park in Red Bank, New Brunswick. “In long travels, people would take dried roots in a pouch along with chaga, which is rich with nutrients from the tree,” Paul said. “After it was used in drinking, it was used to carry fire on long travels,” acting as a slow-smoldering tinder. Paul learned about chaga and other wild medicines from his father, who cut wood pulp around the Miramichi River watershed, and he uses it and other botanicals regularly. He said he gets calls weekly from loggers and others who cut many pounds of chaga and look to sell it — without having first secured a buyer. “Greed has taken over,” he said. Some will cut the whole tree down to access conks of chaga beyond their reach or dig too deep into the tree to remove every last bit instead of leaving some behind to regenerate. In Wade, a small town along the Aroostook River, herbalist Natalia Bragg, who runs the Knot II Bragg Farm, shares those concerns. Bragg supplies chaga to cancer patients regularly and recommends that healthy people looking for a forest tea should instead harvest the birch polypore. These white and brown mushrooms are less nutrient-dense than chaga but have many of the same compounds and are more prevalent, she said. “Chaga requires a lot more old growth trees to be sustainable,” as the fungus doesn’t reproduce through spores until the tree dies, Bragg said. though she has successfully propagated the fungus onto new trees. Part of keeping chaga sustainable, Bragg said, is for people who want to drink it to do so in moderation and to branch out and try other teas from other wild sources, such as the highbush cranberry. “Chaga is only one of so many kinds of plants and trees that live here and are medicinal,” Bragg said.